Roger B. Meeusen, age 89, of Holland went to be with his Lord and Savior on March 10, 2018 at Appledorn North. He was born April 13, 1928 to Daniel and Jennie (Hop) Meeusen in Grant, MI.  He married Maxine McFall, his loving wife of 69 years. Together they found their church home at Calvary Christian Reformed Church for many years; later joining Covenant Presbyterian Church in Holland. Roger was a loving and caring husband, father, grandfather, brother and friend. 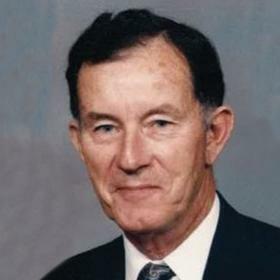 He was a veteran of the US Army serving from 1946-48. 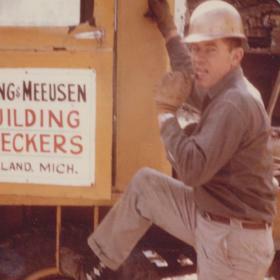 In his early years he worked as a carpenter, however, most of his working career was spent as co-owner of Houting and Meeusen Wrecking Co. in Holland. In retirement he enjoyed spending time in his woodworking shop making toys for the grandchildren, windmills and various other items for family and friends. He and Maxine enjoyed a wonderful retirement, spending much of their time traveling the US. In 1990 they decided to spend their winters in Sebring, Florida where they stayed for nearly 20 years. 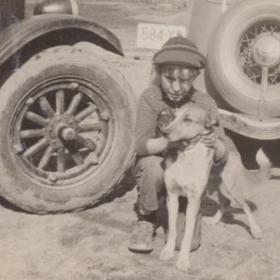 He was preceded in death by his parents, siblings, Henrietta and John Katt, Rena and Henry Petroelje, Donald Meeusen, Pauline and Donald Brower, Bruce Sparks; in-laws Raymond and Tillie McFall, Thelma and Howard Bolles, Leona Davies, Ted McFall, and Bob McFall. 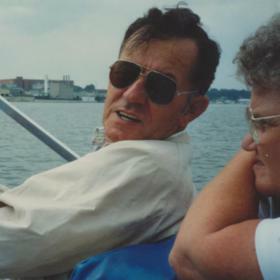 He is survived by his wife Maxine and children: Nancy and Ron Eding of Zeeland, Doug and Mary Meeusen of Grand Rapids, Mike and Barbara Meeusen of Romeo, Jim and Kim Meeusen of Mesa, AZ and Carol and Jay Carpenter of Hamilton. In addition, he is survived by 9 grandchildren, Callista and Patrick Medland of Denver, CO, Meghann Meeusen of Kalamazoo, Katie Meeusen of San Antonio, TX, Andrew, Nathan, David and Sarah Meeusen of Mesa, AZ., Daniel and Christopher Carpenter of Hamilton and 2 great-grandchildren, Calvin and Athena Medland of Denver. 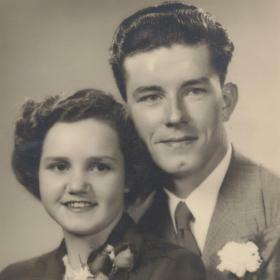 He is survived by his sister Jean Sparks, sister-in-law Kay Jackson; in-laws Norma Van Oss, Bob and Edna DeJonge, Helen McFall along with several nieces, nephews and cousins. A funeral service will be held at 11:00 am, Thursday, March 15, 2018 at Covenant Presbyterian Church, 1015 E. 32nd Street in Holland. Rev. Hans Deutschmann and Rev. Ken Klett will be officiating. Burial will be in Pilgrim Home Cemetery.